It is hard to believe we are halfway through August and before we know it, the wonderful warm weather will leave us and we will be looking at new winter jackets and the latest in Skis and Boots. 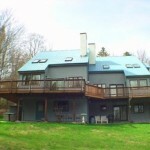 As winter approaches so do the many people looking to rent at Stratton Mountain Resort. If you know you want to ski Stratton, now is a good time to buy your passes and sign your children up for seasonal programs. 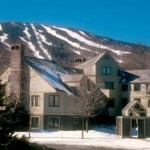 The typical Stratton season starts November 19, 2010 and will end April 10 or 17,2011. Tenants are generally responsible for all utilities, plowing and caretaking and have those bills put in their names. Rental prices can vary from location, size and quality of the home. 3 Bedroom 2 Baths sleeps 6 $7500. Unless you really know your agent it is important to visit every unit. Check for cleanliness, bed quality and appointments. Some homes may smell a little if they are closed up all summer. Most of the damp odor will leave when the heat is on and when the home or condo is actively used. Make sure that you can confortabley accomodate your family of group in the home. Generally pets are not allowed and many homes and condos are not smoking. An important tip is NEVER put ashes from a fireplace on a deck with in 48 hours of using the fireplace. best to leave them. 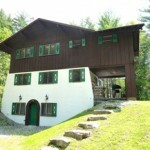 Rentals can be for a weekend or the full season. A weekend rental can run from $300 a night to as much as $2000. a night Again price is determined by location, amenities and quality of the property. A weekend rentor does not pay utilities but generally a cleaning fee is charged and there are state and local rooms and meals tax. Linens are most often included and many landlords will leave general condiments to make your stay more comfortable. Finally if you are planning a vacation over one of the big holidays it is important to book your lodging and your childrens ski school at Stratton Mountain early. If you are thinking about renting your home or condo, make a trip to Vermont soon and grade yourself on presentation, cleanliness, amounts of dishes, flatware, glasses and quality of bedding. If your comforters are more than 5 years old or sofas are worn. it is time to replace them. Clean, well presented properties will rent faster and for more money than the home that has been ignored for several years. Let your rental agent be a guide of what will make your home more marketable. It the home has been locked up for several months, have your caretaker open some windows. Also it is important to have the outside grounds cleaned up.